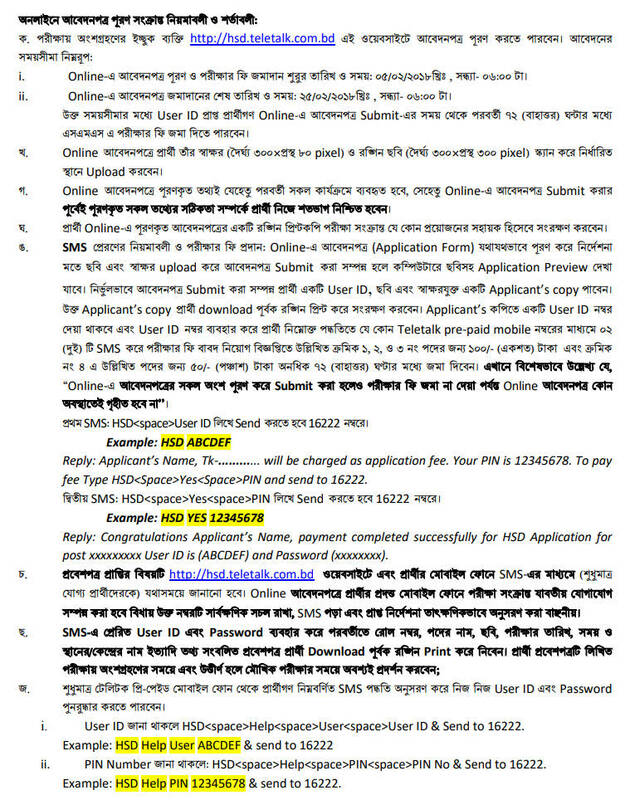 Apply instruction for hsd teletalk website are written below. Just follow and complete your job application. Reply: Applicant’s Name, Tk-100/50 will be charged as application fee. Your PIN is (8 digit number). Reply: Congratulations! Applicant’s Name, payment completed successfully for Health Service Department (HSD) User ID is (xxxxxxxx) and Password (xxxxxxxx). Ministry of Health and Family Welfare (MOHFW) authority will be published HSD Result at their Official website notice board http://mohfw.gov.bd. And you can also get your result from ejobscircular.com . Hope you successfully complete your job application for MOHFW . For Next update about HSD Job apply link, Job result HSD Admit card stay with us. Don`t forget to share this post with your Facebook Timeline . Thanks for visiting ejobscircular job official website. This entry was posted in BD Govt Jobs 2019, Graduate Jobs, HSC Pass Jobs, Jugantor, SSC Pass Jobs and tagged Govt. jobs, Online job applications forms by ejobscircular. Bookmark the permalink.